Ottawa, Ont.-based Corel Corp. has released the latest version of its WordPerfect Office suite, adding several user-requested features to the 1990s office staple, the company announced today. Among other updates, users of WordPerfect Office X8 will now have an easier time accessing the program’s signature “reveal codes” feature, which displays the code underneath a document’s hood; a “New from Template” option that allows them to access or create documents based on numerous table formats or style guides; and, for business users, integration with Microsoft’s SharePoint cloud storage service. In an April 26 statement, WordPerfect senior product manager Cindy Howard said that while there might be more productivity apps than ever on the market, few are powerful enough for businesses to rely on – which is why the company asked its heaviest users to suggest improvements that could help increase their productivity. 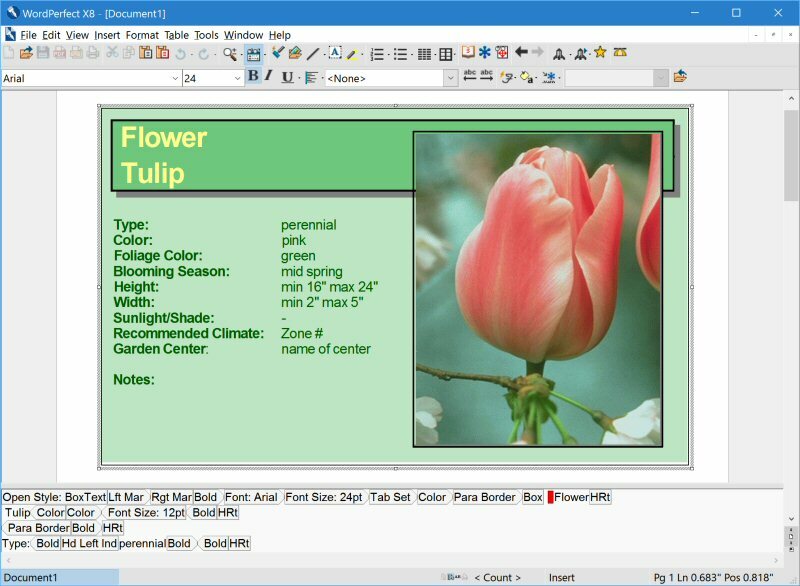 In addition to the above-mentioned features, WordPerfect Office X8 includes support for more than 60 file types including PDFs and the latest Microsoft Office formats; appearance customization options; and a new Function Key Template which not only allows users to create custom keyboard functions, but also provides them with a printable template displaying every keystroke. With the Reveal Codes upgrade, users can add the popular feature to WordPerfect’s default toolbar, and choose whether the Reveal Codes window appears on the left, right or bottom of the screen. 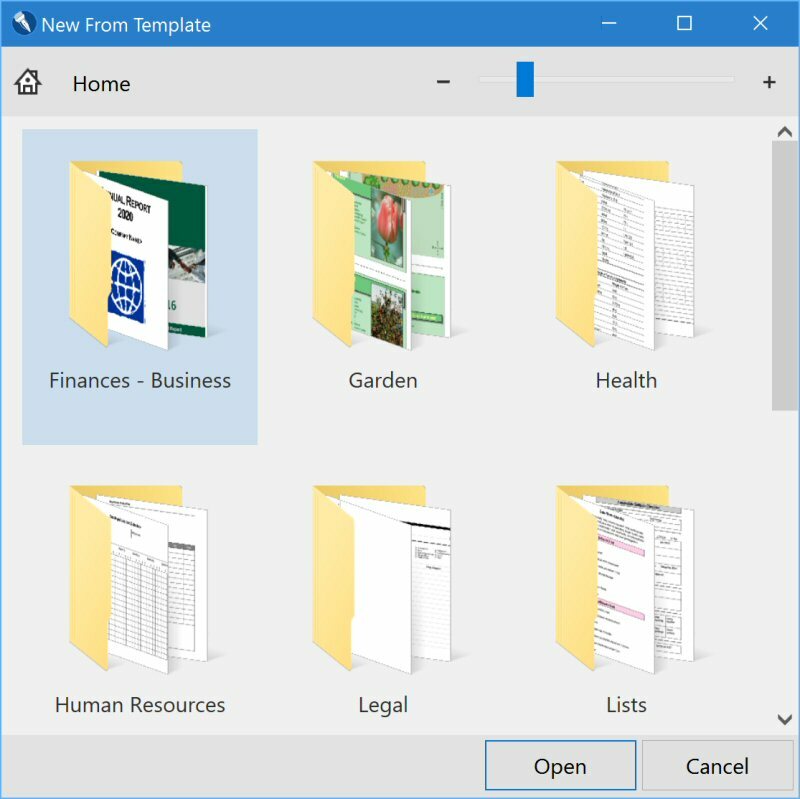 The New from Template feature, meanwhile, includes a browsing option and thumbnail viewer to make it easier to narrow down which of WordPerfect’s 300-plus templates, such as APA (American Psychological Association) or MLA (Modern Language Association), you’re interested in using. Originally a standalone company before it was acquired in 1994 by Provo, Utah-based networking firm Novell, Inc. (itself now a subsidiary of U.K. software firm Micro Focus International plc. ), WordPerfect dominated the word processing market in the DOS and early Windows eras, holding 47.9 per cent of the stand-alone word-processing market versus Microsoft’s 44.5 per cent in 1995. However, the latter company’s aggressive promotion of Office eventually won out, and in 1996 Corel acquired WordPerfect for $115 million USD. While the program may no longer be a household name, according to Corel it continues to be popular in legal, government, and business circles. WordPerfect Office X8 is available in English and French from the WordPerfect website, at a cost of $324.99 for the standard edition, which includes not only WordPerfect, but digital notebook WordPerfect Lightning, spreadsheet program Quattro Pro, slideshow creator Presentations, photo editing software Corel AfterShot 2, drawing application Presentations Graphics, and an eBook publishing program; $129.99 for the home and student edition; and $519.99 for the business-centric professional edition. Users can also download a free trial.